You can have it all! 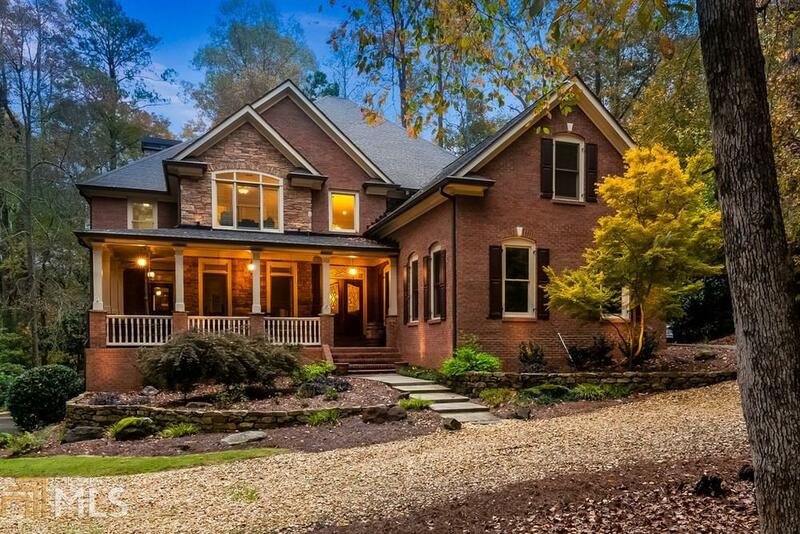 The tranquility of a private, wooded retreat yet conveniently located near everything.Custom-built, 4-side brick home on 1.4 acres boasts circular driveway, five-car garage, outstanding entertaining:chef&apos;s kitchen, large DR, wet bar/butler&apos;s pantry, screened-in porch, stone patio w/outdoor kitchen & fire pit. Master suite w/large bath, built-in bookcases & f&apos;place.Aux bedrooms w/private baths.Fin.basement w/2nd kitchen, fireplace family room & a boat door w/driveway access-currently a workout area. Luxurious details.Min to hiking trails & Nat&apos; Park. Directions: From Old 41 Hwy, Turn Left Onto Stilesboro Road, Then Right On Mossy Rock Road. Turn Right On Button Hill Road, Take The First Left And Another Left. Stay To The Left Past The Rock Mailbox And The House Is On The Right.